Ever since it hit the market in 2010 iPads have been popping up everywhere and are constantly being used in new and interesting ways, and now they are showing up in hospitals country wide. The importance and usage of the tablet devices like iPads on hospital wireless networks will only grow in the next few years. iPads are extremely useful in hospital for a variety of reason that would take me all day to list so here are 4 ways to use iPads on your hospital wireless network. iPads can be used to allow the hospital to gather information from patients about their satisfaction of their hospital experience. 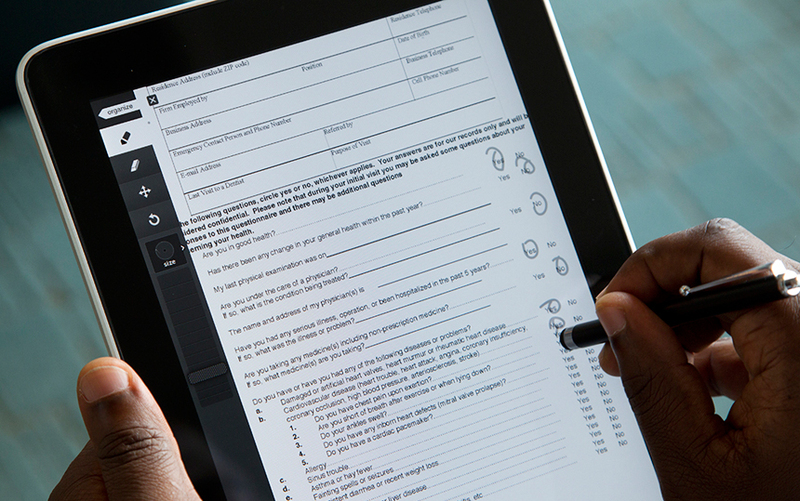 Patients can be given a feedback form via iPad before they leave the hospital to allow the hospital to obtain valuable feedback quicker and easier than ever before. Specific issues and problems can be addressed and fixed quickly. 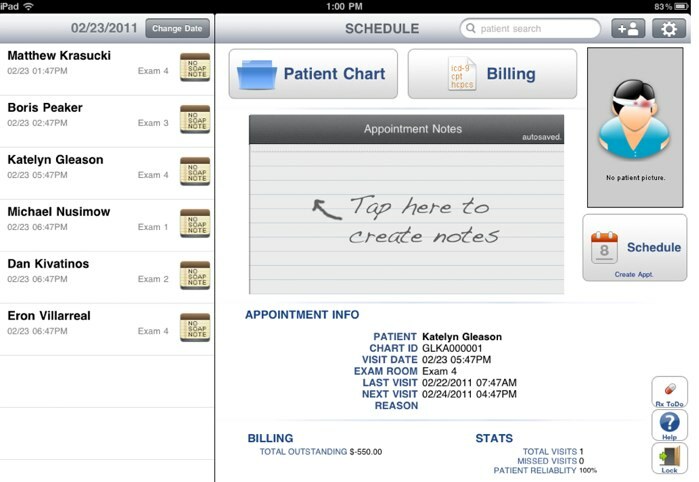 iPads can also be used to educate clinicians with valuable up to date information, policy changes, prescription lists, etc. Doctors have a lot on their mind so being able to access quick reference material with the flick-of-a-finger can save a lot of time and mistakes. Patients young and old can benefit from iPads in hospitals too. It can help show an elderly patient multimedia that describes their disease easier and clearer than just words, or use it to keep a child’s mind off any pain and discomfort associated with treatment. iPads have now entered a whole new level with this one, they are now used in patient treatment and to save lives. 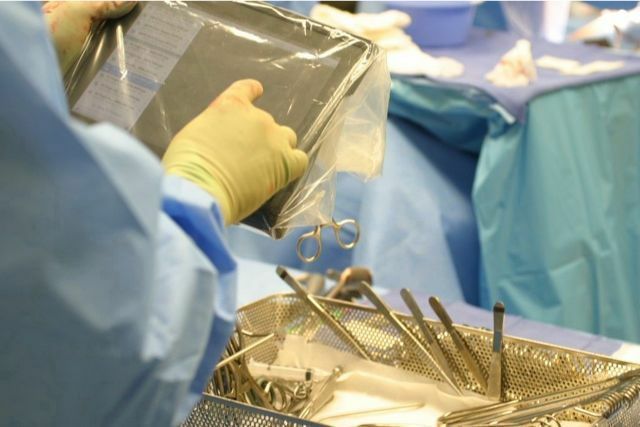 Doctors are using iPads in surgeries, emergency procedures, and treatments. Images and diagrams are easily accessible during surgeries with iPads. There have been cases of doctors using them during surgery for help with difficult surgical procedures. Checking and updating electronic heath records can be done in a snap. Records and notes on the iPad allows clinicians to send records to other departments and physicians and even email them to the patient in seconds. Hospitals are developing scheduling apps and reminders to help keep patients up to date on their prescriptions and schedule appointments easier. They can also get feedback and results with iPads also. There are a increasing number of iPad apps targeted at helping healthcare professionals better care for and communicate with their patients. In the medical world patient and physician communication is crucial, so anything that makes this process for efficient and accurate is definitely worth it. These are just a few good reason iPads should be integrated into hospital wireless networks. Trust me, there are hundreds more reasons and the list keeps building. As the iPad becomes more and more popular you will see more apps and hospital uses arise. Eventually iPads and other tablets will be in every hospital and healthcare facility, they are too valuable of a tool to not be. When integrating this device into your hospital wireless network security and privacy are key, especially if the device will be used to access patient data. 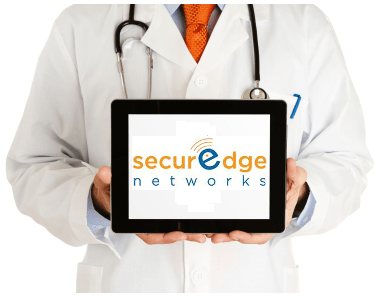 Here at SecurEdge we are experts in healthcare wireless networks so we understand the importance of new mobile devices can create new challenges for IT departments ranging from new sets of securities, configurations and management. We can provide your hospital wireless network with the security and management it needs to authenticate and track users on the wireless network. At SecurEdge Networks we always plan for the future of wireless technology. If you need help preparing your hospital wireless network for the future download or free hospital wireless design guide or contact us for a FREE consultation.